I finally got some time this weekend to listen to some local compilations I’ve had laying around. You would think that someone who writes about music would have ample time to do this kind of thing, right? Alas, it is not so. Anyway, let’s get right to it. After going through the excruciating process of hand-entering all the titles and artists on my iTunes, I got my first listen of Mazarine Records Spring 2012 Sampler. 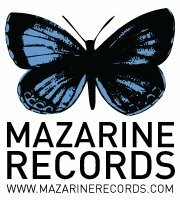 If you’re not familiar with Mazarine Records, you’re probably at least familiar with some of its artists. Think hope for agoldensummer, pacificUV, powerkompany, and some non-all lower cap bands like The Viking Progress, Dare Dukes, Emergent Heart, and so on. A ridiculous amount of talent is concentrated in this little community. THIS is how an Athens music collective should be done. Non-profit and artist run, Mazarine does have a certain sound it leans toward. Think floaty, atmospheric, polyrhythmic, crooning males and soft voiced females.”Dreamscape” is the word you’ll want to use here. Musician sharing is a big factor in concentrating the sound of the label. I know that more than a few played at in at least five different lineups during Athfest. They also share producers, instruments, a studio, marketing teams, a website, and most importantly, fans. This is one of the things that I think a lot of Athens bands miss out on. It’s about building a community of players and fans that can support each other. Bands rarely get “big” by themselves. There’s usually a scene, a sound, a signal that shows up before something breaks. Mazarine is lucky enough to have more experienced artists like pacificUV and hope for agoldensummer on its roster. That’ll help out some of the newer artists. I’m really excited about this whole group. When we (ABH, Flagpole, and me!) have to do the traditional fall “Welcome to Athens” spiel, you can bet a few Mazarine artists will be on my recommendation list. Thus endeth the shameless fawning for today.